There’s something special about Asheville and the world is just beginning to discover it. 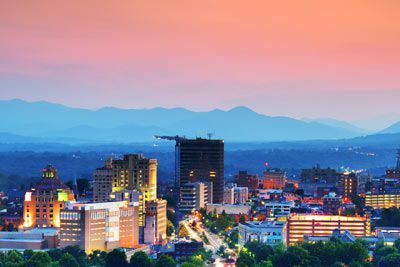 This thriving mountain city features a funky and eclectic downtown with over 30 art galleries, a burgeoning culinary and wine scene, thriving live music scene and, of course, the awe-inspiring scenery of the Appalachian Mountains. 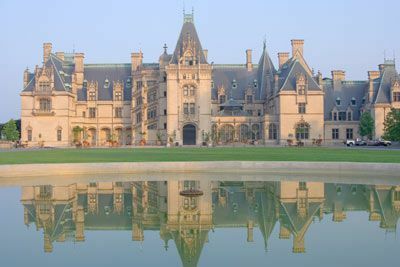 Step back in time and experience Gilded Age elegance at America’s largest home, George Vanderbilt’s 250-room Biltmore House. Relive the Victorian era at the circa 1840 Smith-McDowell House-Museum, Asheville’s oldest home. Explore the Thomas Wolfe Memorial, the acclaimed author’s boyhood home. 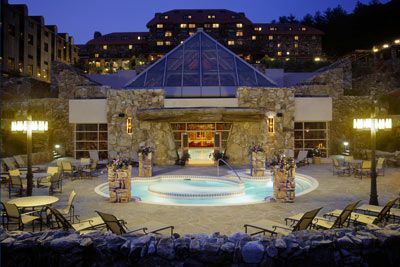 The Asheville area’s reputation as a destination for spa treatments and wellness dates back centuries. 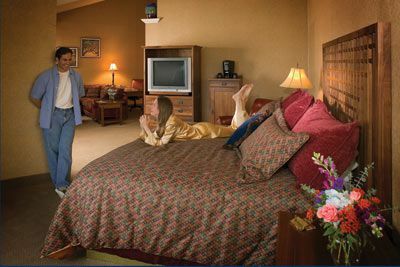 Indulge in an aromatherapy massage while gazing at the majestic Blue Ridge Mountains. 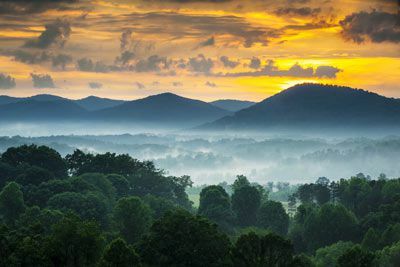 From a health-and-science theme children’s museum to boutique toy stores, invigorating hikes, mountain biking, mountain swimming holes, and other outdoor adventures, Asheville is exciting for all ages. Artists and street musicians converge with tourists and locals for a vibrancy rarely found in a city of this size. There is always something happening downtown. Sip a cup of Joe at one of several locally-owned coffee shops, listen to live music at a local club, go on an art walk, or simply enjoy fine cuisine and people-watching. Golfers rave about the Asheville area’s magnificent mountains with their scenic beauty, temperate year-round weather, and lush fairways. Getting There: The Asheville Regional Airport (AVL) is currently served by several airlines. 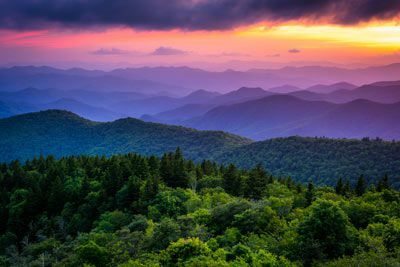 Blue Ridge Parkway, considered the nation’s most scenic highway, winds along the Blue Ridge Mountains, through Asheville, and into the entrance of the Great Smoky Mountains National Park. Numerous overlooks, roadside exhibits, and hiking trails make a trip along the Parkway a delight. The Parkway intersects with Asheville at four points: US 25, US 70, US 74, and NC 191. From exclusive Kingsdown plush-top mattresses to windows that open to the fresh mountain air, every detail of your room has been designed to make your stay a comfort and a delight. Additional features include free wireless Internet access, microwave, refrigerator, coffeemaker and more. 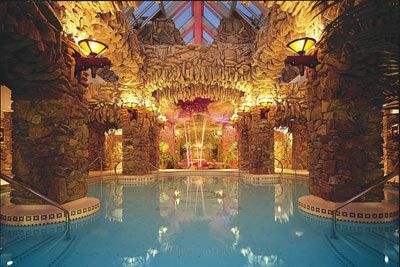 In the Condé Nast Traveler’s 2013 Reader’s Choice Awards Poll, The Spa at the Omni Grove park Inn was rated “Top 20 U.S. Resort Spas.” Golfers will delight in this historic course that has played host to numerous PGA Tour events. A 50,000-square-foot Sports Complex offers indoor and outdoor tennis courts, a racquetball court, an indoor pool (outdoor pool is located at the Cabana Grille), fitness trainers, yoga classes, and children’s programs. Set aside time to stroll through the new shopping promenade. 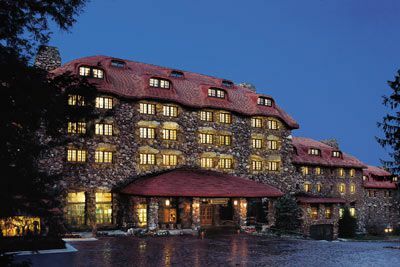 The Grove Park Inn offers award winning dining and several lounges for an enjoyable evening out. Certified Registered Nurse Anesthetists: This program has been prior approved by the AANA for 24 CEC; AANA Code #1035485; Expiration date 8/16/18. $100 June 14, 2018 to July 14, 2018. No refund after July 14, 2018; however, 50% of tuition paid may be applied toward tuition for another NWAS program within the next 12 months. Cancellation must be made in writing.